Front office staff are friendly. Management lack good communication skills. This neighborhood is a hidden gem - I love living here! I picked this complex for the value I'm getting for its price, because I knew I wanted to live in 1 bedroom apartment which is usually more expensive than having roommates. This apartment was the best price around and I didn't have to sacrifice any features I wanted. There is a gym and a really nice pool, parking is never an issue, it is pet friendly, and the inside of the apartment feels brand new and has all renovated appliances. I love the layout of the apartment because it has a 'dining room' with a skylight in it, which I have converted into a study! I have had two minor maintenance issues, but the staff is fantastic and responded immediately - both were fully resolved in under 24 hours. Apartment is conveniently located about 6-7 minute drive from school, but not close to downtown/fan area for bars and activities. Overall, the apartment has everything you need - a lot of storage, parking, large closet in the master bedroom, large kitchen, in-unit washer/dryer, & a newly installed alarm system in each apartment. Some downsides - not very responsive management, thin walls (I don't have repeatedly loud neighbors, but would be annoying if you do) , very little overhead lighting (not in bedroom or living room), no building security as each building is an open walkup. The complex does house several UR Law students which is nice. Office, management, and maintenance are responsive and timely. Community is very social with events throughout the year. Smaller community with 2 story building and a lot of trees. 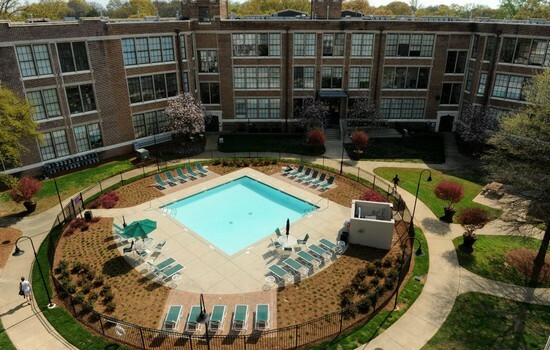 Dog park (complex is very dog friendly), community garden, pool, gym, and activity area. Drawbacks: No in unit washer/dryer currently and some apartments do not have a microwave. You should have a simple experience if nothing goes wrong. It is a safe area, it is close to the local neighborhoods around the law school, and you can get to the school in under 10 minutes almost any time of day. But, if you have maintenance problems, issues with cable, or with the general management, it can be very difficult. But I think it suits law students as it is simple, fairly quiet, and convenient. The apartment is good for how much we pay. The management is slow and sometimes unresponsive to problems, but problems do not come up often. 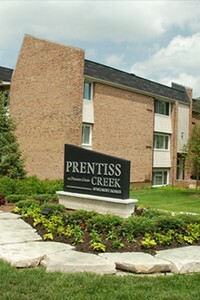 Close to campus and to W. Broad street so it's convenient. Also, a lot of 1L students, even a few in my section, live here so it made carpooling and socializing easier. Walls/floors are super thin so you will hear your neighbors/roommates especially if you live on the first or second floor. Price is really decent, and you have a 24 hour gym and pool (during the summer). A few very minor pest control issues BUT nothing major and maintenance is really responsive--will usually come a day or two after you submit a maintenance request. Laundry is in your apartment. Water, trash, and sewer are charged by the apartment with your rent. Other utilities you're responsible for independently. Ten minute drive to campus. If your apartment is on the back side of the building (backs up to trees) you really won't have much sunlight. Very average place. A lot of families and middle class. Not very close to any thing interesting, but provides a quiet place. Apartment was close to the road and could hear a lot of traffic noise. Provide very little in terms of services. A tiny, outdated "gym" that doesn't really even qualify as a gym. Close to school, and basic. I have enjoyed living at Bass Lofts. The building used to be a high school several decades ago and has since been converted to loft spaces, meaning each unit has a lot of character to it. There is also a swimming pool, on-site laundry, and a gym. The management office has been very responsive to questions and concerns. This apartment is very nice on the inside for a young professional just getting started after college. It has a pool, decent gym, a lot of acreage plus tennis courts. The outside of the property could use a lot of work including the hallways. The management is not very responsive if you call the property as well. There is a lot of potential here but needs work to compete with new apartments being built in the area. The management did not do their part in communicating or reaching out to me. For paying over $1000 for rent, I expected a much better relationship with the front office team. 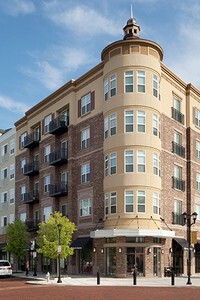 The Ridge offers great amenities and the management is always helpful. They have Starbucks Coffee everyday all day which I love as well. 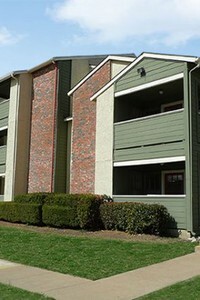 Overall this apartment is a great location to live at and the neighborhood is excellent as well. I recommend the Ridge. My husband and I have lived here for almost 2 years now and really have enjoyed our time here! We really liked the Far West area of Austin and decided that these apartments were the nicest and most newly renovated in the area! We're a mere 10 minutes from downtown and are in a central location to all of our favorite spots! One of the complaints we have had over the last 2 summers is that our a/c doesn't work very well which makes it pretty uncomfortable in those hot months! The ladies in the main office are friendly and helpful and all in all we have had a pretty great experience here! From our experience of living off Far West Blv., The Ridge has been the nicest apartments in all categories. It has a great location off Mopac and they really do a good job of keeping the apartment up to date, as well as responding to service calls promptly. Bass Lofts is the best! I love this place. Friendly people, beautiful pool, always well kept grounds. It's very dog friendly with 2 separate parks for your dogs to play in. There is always something fun going on, and the management is wonderful! Quick walk to the beltline and all the fun that happens in Inman Park. Plus, the front of the building faces Little 5 Points and there is always something interesting going on there!